The first flavors that hit my palate is a blend of vinegar and coriander, with a light saltiness. The chewing brings on the natural meat flavors, with a little more salt and a bit of tanginess. 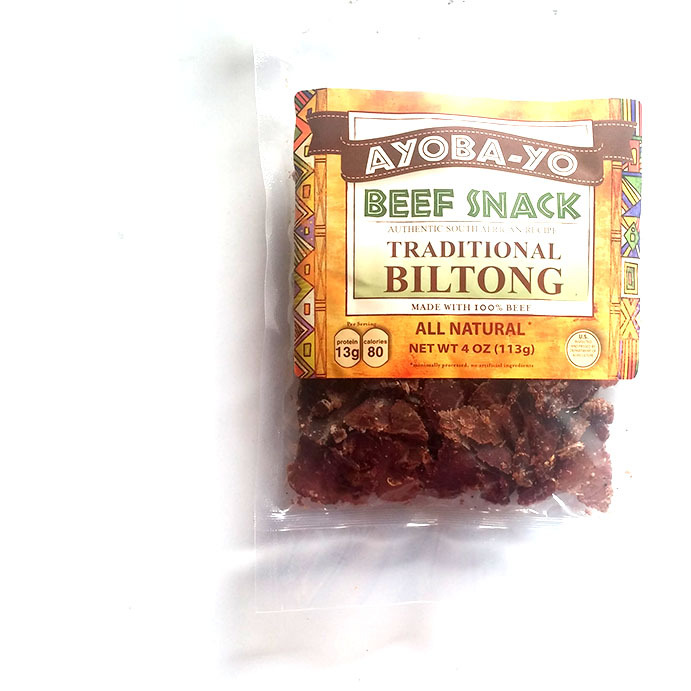 As biltong, this knocks out that traditional, South African-style flavor. The vinegar and coriander are well pronounced, giving this a lively flavor that excites the palate. Yet, the natural meat flavors come through well also, with an aged, marbleized flavor, satisfying the meat-tooth and carnivore in many of us. Overall, I'd describe the primary taste profile as a natural meat flavor, spiced with blend of coriander, vinegar, and salt, giving this a tangy, meaty, chewing. The meat consistency is excellent. 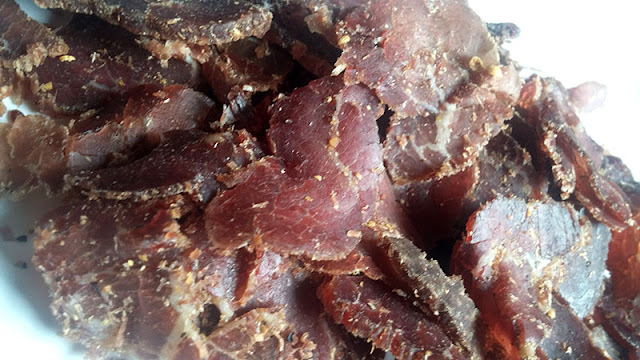 Marbelized beef is sliced thin into bite-sized pieces. It feels dry, though soft. Chewing is easy, very meaty, and once chewed down soft, feels like italian deli meat such as capicola or prosciutto. This traditional biltong from Ayoba-Yo offers up a flavor that is unmistakably South African, mild in spice, but lively in character, it's irresistible for snacking. If anything differentiates Ayoba-Yo from other biltong brands is its tangy, seasoned flavor that seems to waken the senses. 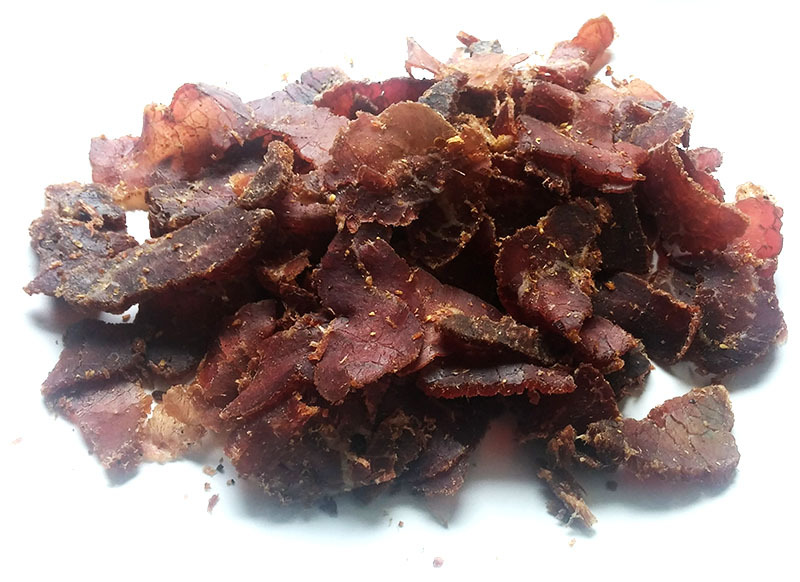 The marbleized meat flavor, and the tender meaty chewing, scores points with meat snackers, and should welcome traditional jerky aficionados into another realm of face-stuffing charcuterie.